Mango mastani is a popular drink of Pune. Yes, it belongs to Maharashtrian cuisine. 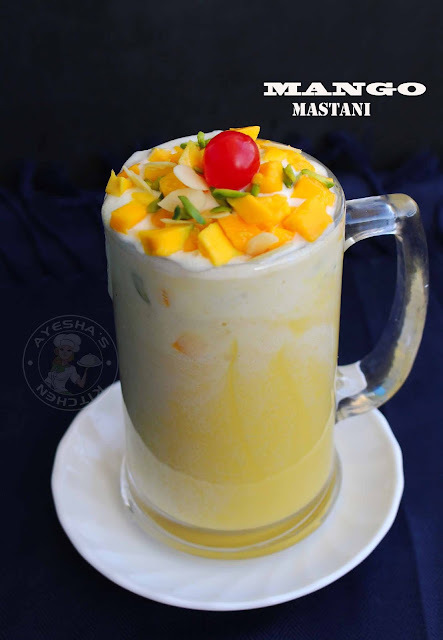 This scrumptious mastani drink is originated in Pune only. 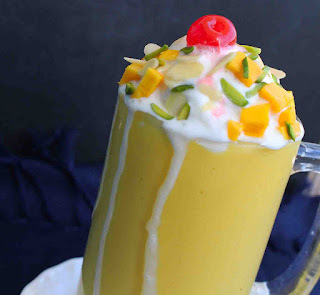 Mastani drink is nothing but milkshake topped with scoops of ice cream, pieces of chopped fruits and nuts. This drink is named after peshwa bajirao's wife mastani and you can have mastani drink with different flavors like orange mastani, dry fruits mastani, chocolate mastani, avocado mastani etc. But the taste of mango mastani is the best of all other flavors. 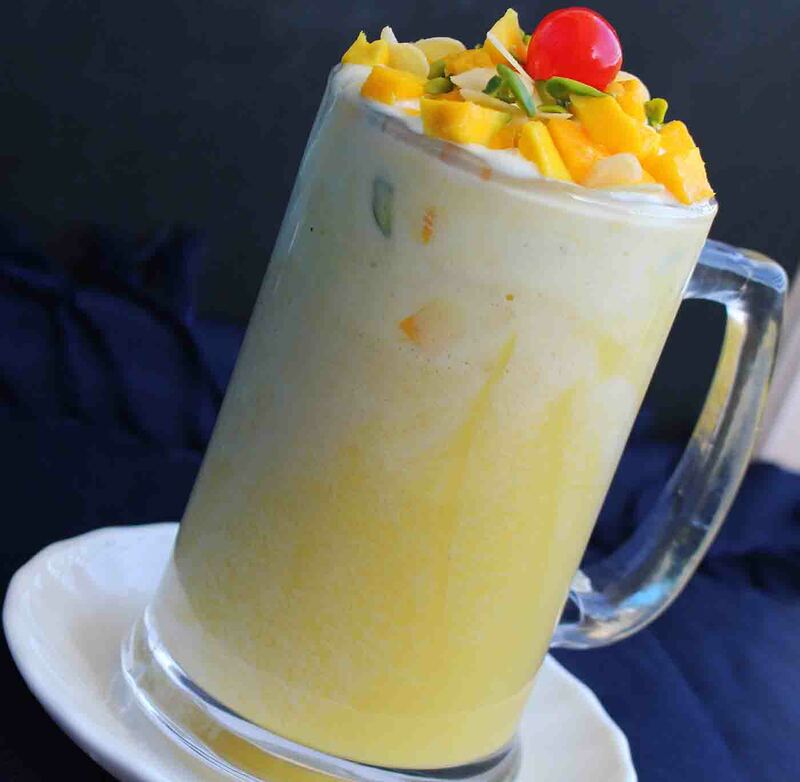 This is the right time to share mango recipes as this is the peak season for the king of fruit, Mangoes. Right now am in uae, but i got some ripe mangoes from my native place, Kerala - the gods own country. I love trying recipes with all kinds of mangoes as each one differs in taste and color. 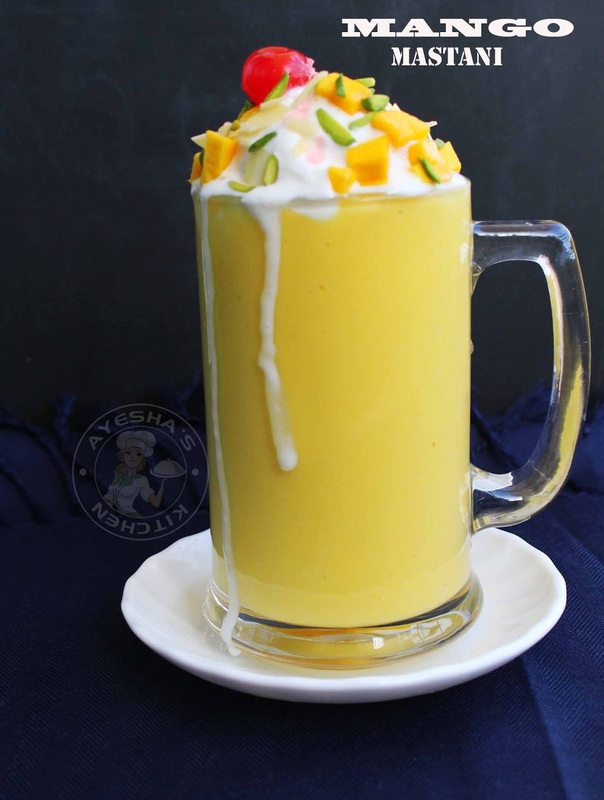 This recipe for mango mastani is made with red colored Indian sindhura mango (sindhoora mango india). 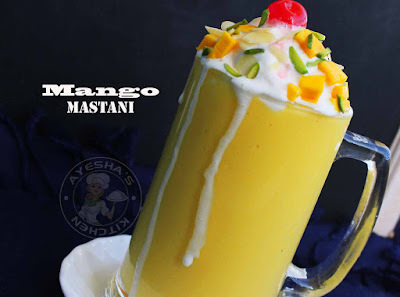 Here is the recipe showing how to make mango mastani / mango shake recipe / mango milkshake recipe / mango juice recipe /mango drink recipes /mango smoothie /smoothies with mango /smoothie mango. Slice or chop the nuts of your choice and set it aside ready along with glazed cherries. Pour this milkshake into the glasses, place ice cream scoops on the top. Top it with sliced nuts, chopped mangoes and finally garnish with glazed cherries. 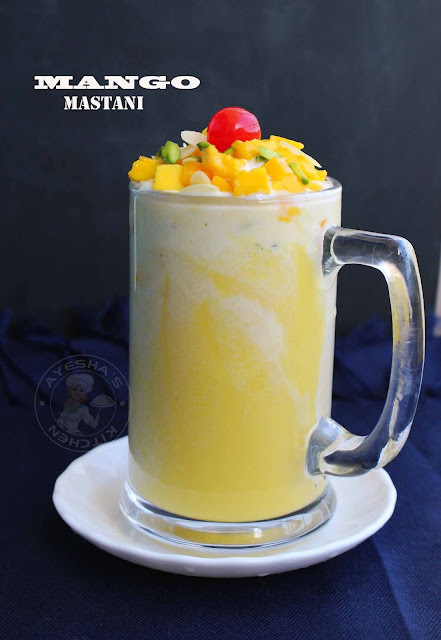 You can serve mango mastani in another way too. Place a scoop of ice cream and nuts in a glass, then pour the blended thick mango smoothie and then top it with a scoop of ice cream. Finally top it with chopped nuts and chopped mangoes.